What’s the difference between a hair graft and a follicle? What’s the different between a follicular unit and a follicle? How is FUE transplant done? 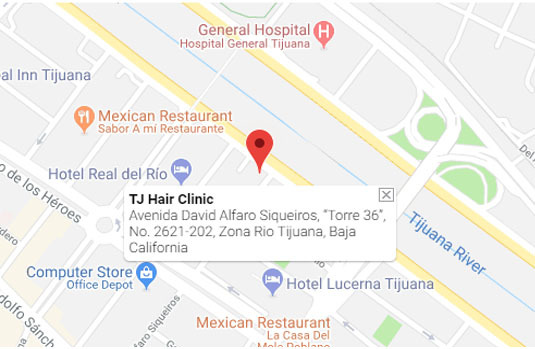 Is FUE hair transplant in Mexico done differently than in the US? Are there risks involved in FUE hair transplant? Is FUE hair transplant safe in Mexico? What happens after having FUE hair transplant? What makes FUE hair transplant technique better than FUT? Can I go outside after transplant? What is the PRP hair loss therapy? What are the benefits of the PRP Therapy? What is the cost of the PRP treatment? Are there risks in PRP Therapy? Are there side-effects with PRP therapy? Is PRP therapy for Hair Loss guaranteed to work? Can PRP Therapy help cover the gaps in my hair? Do I need to take days off from work to get PRP Therapy done? How effective is this hair-loss treatment? Can PRP Therapy help with my thin-hair? How much time between the different application/sessions? How long is the PRP treatment? Is PRP Therapy better than other hair-loss procedures? How many applications/sessions will I need to see results? Is PRP hair loss therapy the same as Stem Cell hair loss therapy? Does PRP Therapy work for both men and women? What is the average cost of FUE Hair Transplant for Beard? How much does it cost to get FUE hair transplant for Beard in Mexico? How long does it take to get FUE hair transplant for Beard? Who is eligible for FUE transplant for Beard? How is FUE hair transplant for Beard done? How much does FUE hair transplant for Beard last?